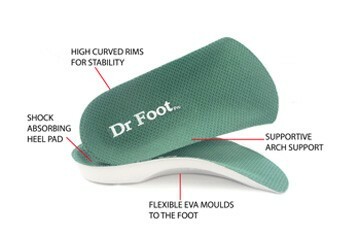 Enjoy immediate relief from arch and heel pain. 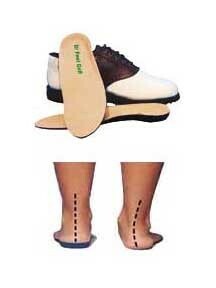 Dr Foot Golf Insoles can be used for running and golf. 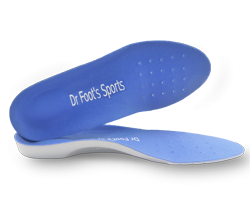 These insoles are similar to the Dr Foot Sports Insoles but provide greater support and comfort than any other insole. 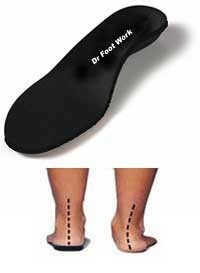 Dr Foot Work Insoles are designed specifically to fit into work boots and shoes. 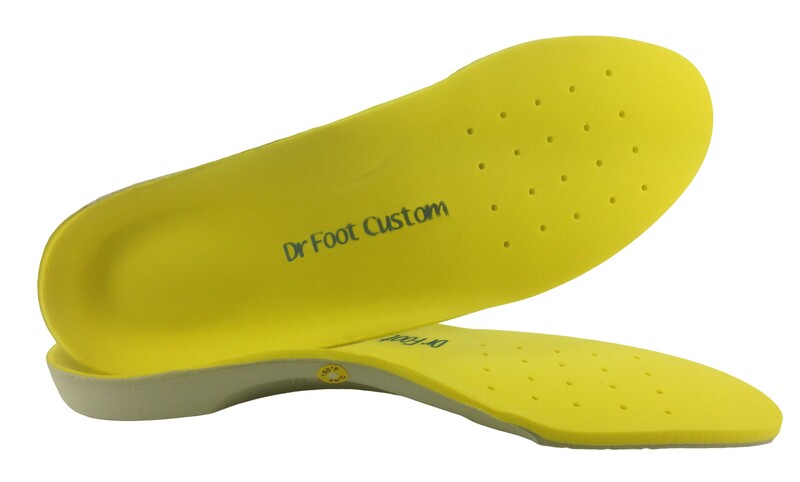 These dynamically engineered functional insoles correct over pronation and provide comfort and relief for people who are on their feet all day. 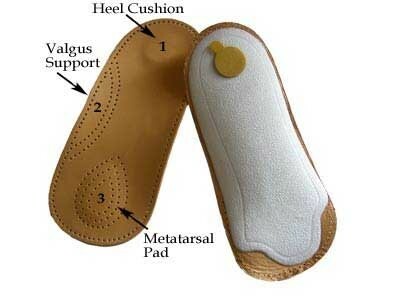 A 3/4 length leather covered lightweight acrylic support with a built in heel cushion, arch support and metatarsal support. 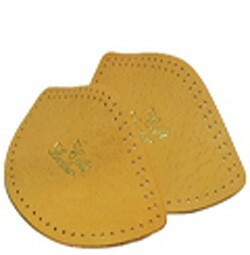 Get instant relief from painful arches with this leather arch support. 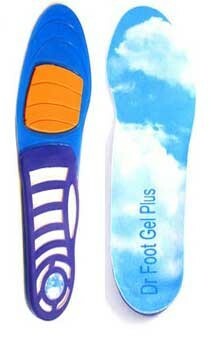 Simply peel off the adhesive backing and apply directly inside your shoes.